From the time I read a book about sailing as a teenager, I wanted to sail a boat. 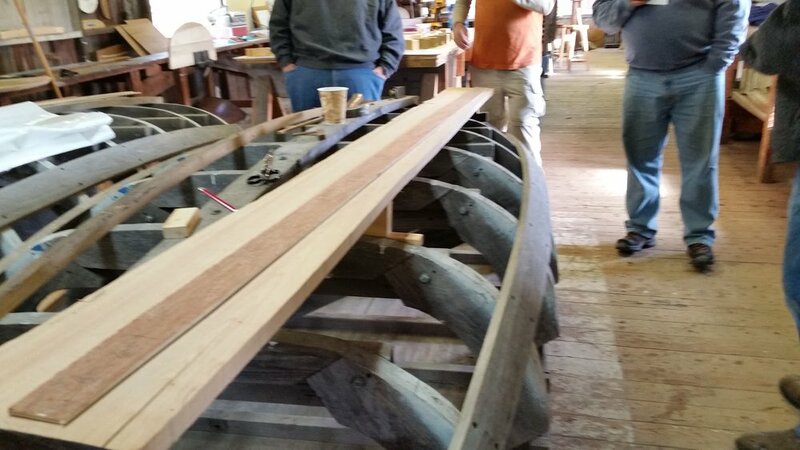 Then in my twenties, after visiting the Adirondack Museum and Mystic Seaport, I wanted to build a wooden boat. It's taken some time, but I've started a project to do both of those things. After reading Michael Ruhlman's Wooden Boats and Steward's Boat Building Manual, I got very curious about lofting- the transferring of lines from a plan to a full scale drawing. Almost by accident, Lynne found a class at Mystic Seaport. 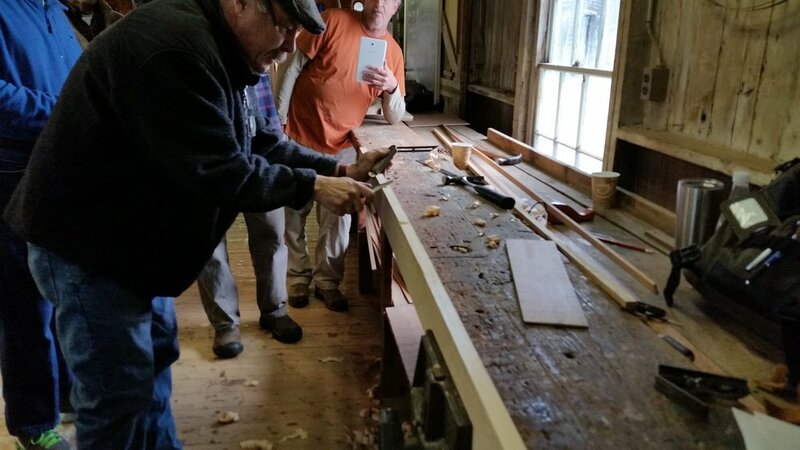 So I signed up and took a Walt Ansel's class on lofting at the John Gardner Small Boat Shop (he's the iconic author of several books on wooden boat building) in November of 2016. 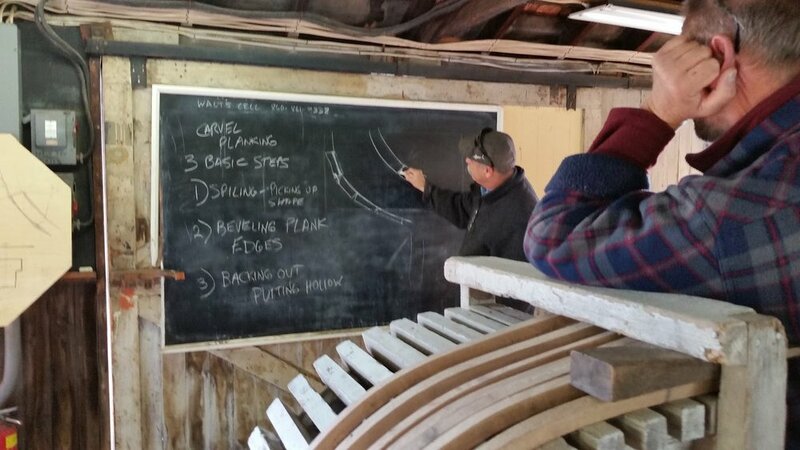 We learned all about Tables of Offsets and how they are used to generate the drawings of the boat, and the templates from which the boats are made. We took the numbers from the table shown above, made tick sticks, and made full scale drawings on a sheet of plywood ("lofting"). This is drawing is pretty complete-it took several hours and lots of deliberation! The right side contains a projection of the transom. We used this drawing to form a template and then used that template to cut out and shape a transom. Here's a neat trick: to make the template, ringed nails (near the tape measure) were laid on their sides and hammered in place (the remnants of which are those the dark lines you can make out on the drawing). 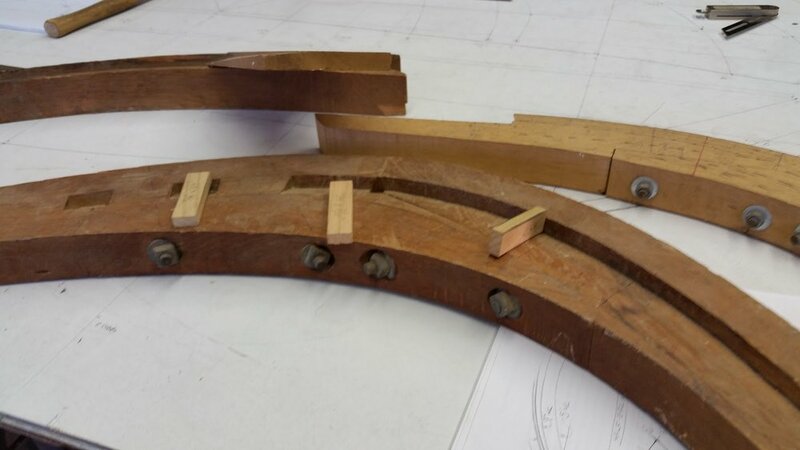 A sheet of plywood was then laid on the exposed heads to transfer the shape. A little hammering later and you have the lines transferred, connect the dots, and you are ready to cut out the template! This four day class was intense. 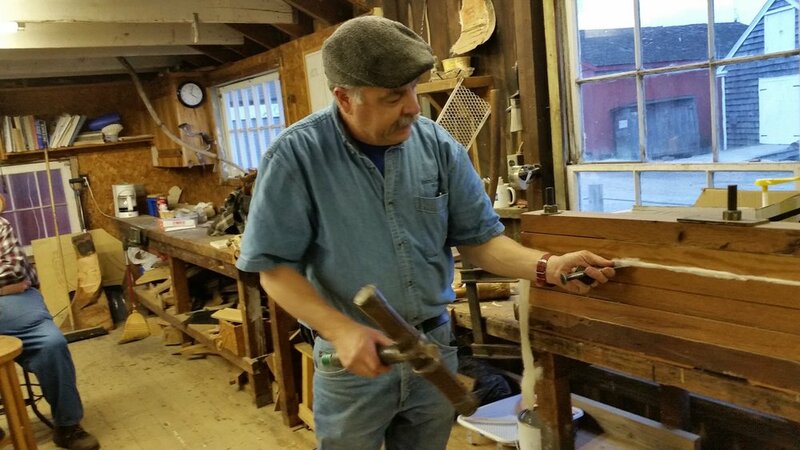 In addition to lofting, we also were introduced to construction methods for various boat parts, spiling, caulking, carvel planking, and what to consider in selecting your first boat...here are some candid shots of the class with Walt- a great instructor! 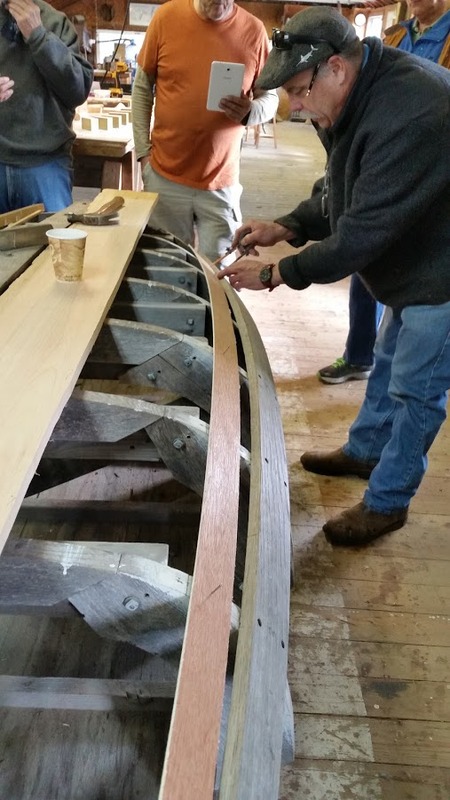 The class was well worth it and I got to hang out with some other boat builders; that a was a lot of fun.